Western Pennsylvanians enjoy their rivers, streams and lakes, but do we take our water for granted? Many parts of the world are plagued with polluted water, or have limited access to any water at all. That may sound like someone else's problem, but people in the Pittsburgh region are taking innovative steps to prevent future water problems and to correct existing ones. 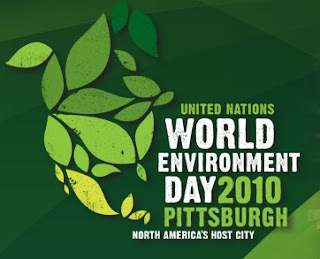 To coincide with World Environment Day events and the Water Matters! Global Water Conference, WQED Multimedia's OnQ program is proud to present a four-day televised (and internet accessible) series. From local water challenges to successes, from water innovators to watchdogs, the entire OnQ staff worked to bring viewers in-depth reports and interviews that remind everyone why "Water Matters" in Pittsburgh. OnQ begins the "What's In The Water?" series with an overview on the importance of preserving our region's waterways. Michael Bartley hosts a discussion forum with topics that include water sustainability, water solutions, accountability when it comes to keeping our water clean, and the economic impact on communities with or without good water systems. Jerry Paytas, Director of Research for GSP Consulting's Economic Architecture practice. Content will be available for on-demand viewing after it is televised. 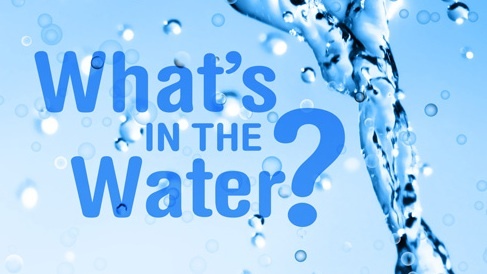 For a complete program listing and descriptions, visit WQED’s “What’s in the Water." No one shows the stats better than Infographic, where simple facts are transformed into eye candy. 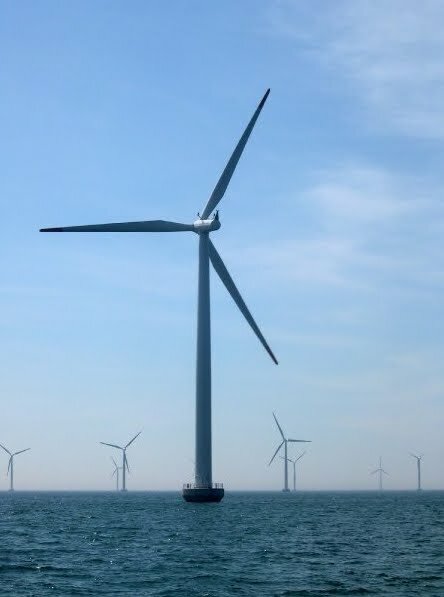 We're not even half through 2010 and already we have had the chance to witness two environmental events for the books--the ever-growing oil spill in the Gulf and the approval of the first U.S. offshore wind farm. 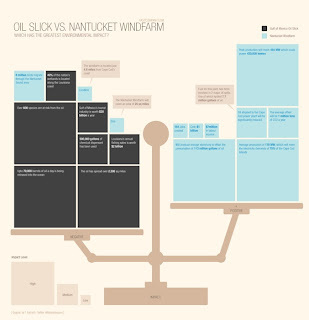 Both the oil spill and Cape Wind will leave lasting impacts on the Gulf of Mexico and Cape Cod, respectively. But make no mistake. The negative impact of the toxic oil spill outweighs that of our biggest, latest, best effort at a sustainable energy project. Full image, click here. Our parents always told us to eat our vegetables. Otherwise, you know they would just puree them all up and serve it as soup, stuff the veges in the meatloaf, or even get creative by baking zucchini bread. Yet a new vegetable is getting the attention of farmers, chefs and even moms. Carol Ann Sayle, co-founder and co-owner of Boggy Creek Farm, a five-acre urban, organic farm in Austin, Texas, grew beets, potatoes, squash, broccoli and green beans, to name a few. But only recently did she discover the root vegetable scorzonera. The name comes from the Italian "scorza" meaning bark and "nera" meaning black. 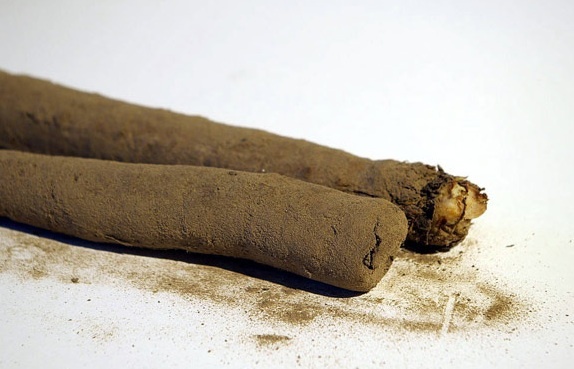 It's a dark-skinned root vegetable that's similar to salsify -- called the oyster plant as it allegedly tastes like oysters. Scorzonera is, in nature, a perennial, but acts like a biennial. It should be blanched or boiled and then the skin will easily peel off. Their crunchy texture makes them unique for salads, stir fry, omelets, or other fun creations. Go for it and try something new! It's a new deep ocean solution called Deep Green. Some are calling it a modern high efficiency, low impact solution brought to our world by a Swedish company, Minesto (a spin-off of the Saab Group). 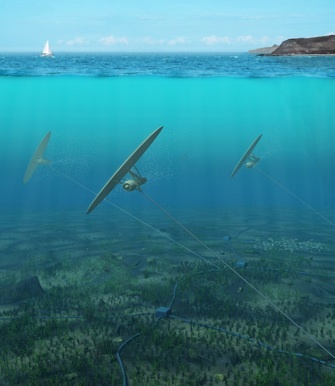 The concept involves generating electricity from tidal currents. While not necessarily a new concept, the approach is being perfected with underwater kites. Speed and energy are the key to tidal energy, and one of the new techniques to harness this "free" energy is with kites plus mini turbines made of low cost materials. The kites travel in short figure-eights which are attached to the seabed by a tether. The speed of the kite is what determines the flow velocity to the turbine. The faster it swims, the more electricity will be generated. All of the juice is then transmitted onshore through a power cable inside the tether. See the demo below and share your thoughts. The solo sailor, Jessica Watson, has finally returned home from her long journey. She sailed around the world, solo, unassisted, in her pink yacht named Ella's Pink Lady. It was a seven month voyage and she is youngest chic ever to complete such as diffucult challenge. Equipped with her solar panel, GPS device, filtered water and many other gadgets, it was pure wind power and intelligence that helped her reach her destination. More importantly, many of the sponsors that share the values of adventure and responsible risk taking with a green focus have been credited. "Having achieved something extraordinary, they can become excellent communicators, with passion and confidence, inspiring others to push beyond the boundaries in their chosen field. Often these adventurers develop into entreprenuers, community and business leaders, and become "Austrialian" characters that help define our culture, says Don McIntyre. - McIntyre Adventure. So, what have you done today to inspire others or help your community? 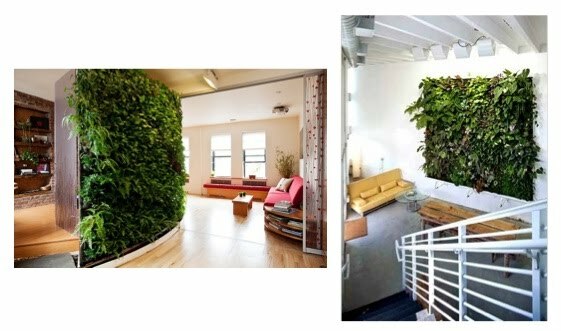 Everyone in the media has been talking about vertical farms and vegetable rooftops. These applications produce beautiful results and at times can be costly if you are not re-purposing materials. With Spring in season, why not opt for indoor gardening? A trough along the floor in this example collects the water runoff, and a small utility pump with a filtration sponge sends the water back up the wall. The wall is basically turned into garden art. You can even plant and grow herbs, tomatoes and small flowers. As for maintenance, sure there are less bugs, but you will still have a need for pruning, watering and feeding. 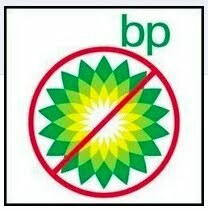 BP needs to be boycotted and we, as the consumers, can do something about it. We need to hurt them with the only thing they care most about - profits! By now, the Deep Horizon rig could have been addressed yet "new technologies" are being applied to save the precious oil, the big asset, for later use. So why boycott? Simply, to make an example. The government has done this before with various people and events to make an memorable impressions. Take Michael Vick, for example, who was federally prosecuted for unlawful interstate dog fighting. Through boycotting and making BP the new example, you will still have plenty of other choices. Exxon. Sunoco. Shell. Gulf. Texaco. Citgo. Secondly, Alabama Attorney General Troy King said Sunday night that he told BP representatives to stop circulating agreements offering coastal Alabamians $5,000 if they give up the right to sue the company. A BP official said the offer was part of a "standard waiver" to fishermen that was "inappropriate" and was "swiftly discontinued." Can BP really sink that low? Obviously, BP has continued to put their profits before safety. As a Homestead, Florida native, beach kid and water enthusiast, I think it is time that I chime in the uncontrollable oil gusher. The infamous Gulf Coast oil spill from the Deepwater Horizon rig is becoming an environmental and economic disaster. It is putting BP's corporate green and yellow brand logo so much closer on the greenwashing scoreboard that management is now simply trying to do as much damage control as possible. While the massive oil slick continues to grow, experts continue with their brilliant techniques of skimming it, burning it, and best of all brewing up a chemical cocktail. But the Coast Guard, appointed by President Obama, to "get in there and get the job done", has brought up a damn good question. Since no one can truly pinpoint how much oil is leaking from the ruptured well, probably 5,000 barrels -- no wait 250,000 barrels per day, etc., because it is a mile deep under the water, why don't we go to the source? The latest answer has been to send in the robots to scope out the damage or should we say clog? Surely there is something clogging those pipes and some folks are pointing fingers at Halliburton. The Houston based Halliburton was responsible for cementing the drill into place below the water. Of course, they are denying it and saying, "its premature" to make these assumptions. But let's think about two important factors: 1) cement and 2) Australia. First, an exploration well is drilled and cement slurry is pumped through a steel pipe or casing and out through a check valve at the bottom of the casing. It then travels up the outside of the pipe, sheathing the part of the pipe surrounded by the oil and gas zone. When the cement hardens, it is supposed to prevent oil or gas from leaking into adjacent zones along the pipe. (Source: LA Times). It's fairly simple the cement is used to fill the gaps between the well and the hole and secondly it acts like a temporary plug before full production begins. More interesting, cement is known to cause blow outs more than equipment malfunction 18 out of 39 times (according to a 2007 study by the U.S. Minerals Management Service). Secondly, Halliburton can't get off that easily. History is repeating itself and many Americans weren't aware of what happened in Australia. Halliburton has been accused of a horrible cement job in the case of a major blowout in the Timor Sea off Australia last August. That is less than one year, and what have we learned? 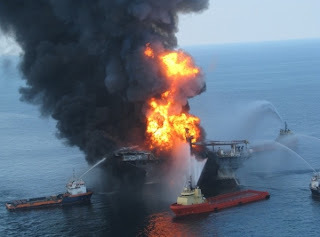 Well, the government and the media are coming down hard on BP, who now have dozens of class action lawsuits piling up. BP has stated that will "take full responsibility" for the spill and will pay legitimate claims by the parties that were affected. But should Halliburton take any ownership or accountability? According to experts cited in the Wall St. Journal, "the timing of last week's cement job in relation to the explosion - only 20 hours beforehand, says the initial likely cause of gas coming to the surface had something to do with the cement." says Robert MacKenzie, managing director of energy and natural resources at FBR Capital Markets and a former cementing engineer. The last time I checked, the year was 2010. I expected flying cars, super soldiers, and genetically modified food. Well, I'm happy to report that we have all but the former, and in its place we will substitute the ever lasting, ever shifting, recycled aluminum chair. Designer, Tokujin Yoshioka crafted this futuristic arrangement from special metallic looking fabric. It is a new age shape shifter and changes every time someone sits their arse on this piece of furniture making a unique impression. 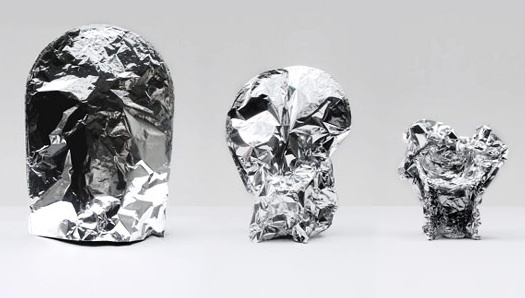 So, look out old time bean bags because "Memory" will be taking up space at the Milan Design Fair.